It’s easy to get lost in the jungle of hair products available for men. How do you know that you are using the right product for your hair type and style? As GQ Magazine puts it, “The difference between good hair and bad hair isn’t what you’re born with, it’s how it’s styled”. 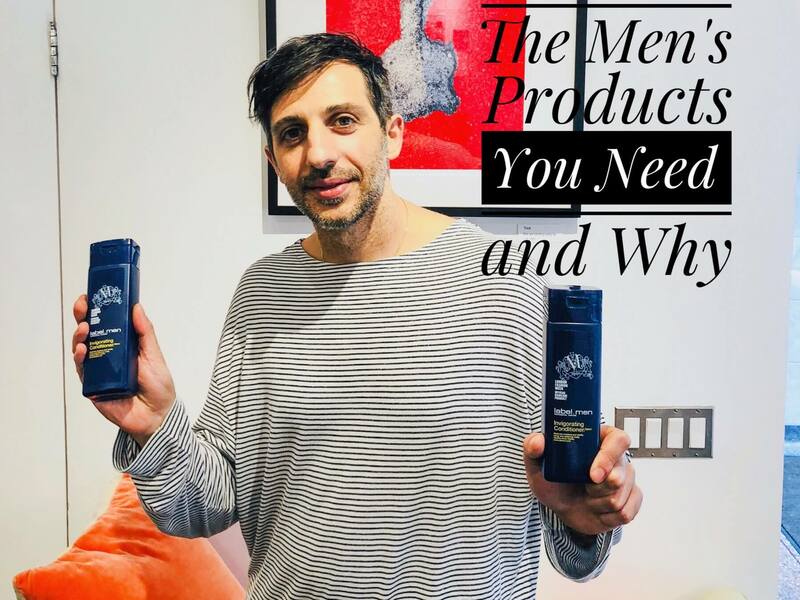 So we wanted to take this week’s blog post to let Fabio Scalia give some tips on men’s styles and explain the best products to use to get the results you want between salon visits. Fabio, when having short hair, is it really necessary to invest in professional products? – Yes definitely! People tend to think that when you have short hair, there’s no need for professional products and I would say it’s the opposite. Isn’t just an amazing haircut enough? – For a long hairstyle that might be the case. But for a shorter cut, you need some sort of high-quality product to get the look you want. First things first, you should use a shampoo for your specific hair type. Ideally, you shouldn’t wash your hair more than twice a week but when you do, you shampoo two times. The first time is to get rid of oils and make sure the hair and scalp is completely clean. The second time is for the shampoo to really do its work and restabilize the pH-balance. But what if the client works out several times a week? – Remember this: sweat is water, minerals and salt. There’s no need to shampoo after every workout. Instead, wet your hair in the shower and use label.men Invigorating Conditioner. What’s the benefit of using the label.men Invigorating Conditioner? – The label.men Invigorating Conditioner works like magic on the hair and scalp. It doesn’t only restore moisture and vitality, but also tones and balances the scalp. In addition, it leaves the hair healthy and shiny. – Take my advice and don’t just leave your hair as it is after you washed it. You want your haircut to live up to its full potential and that’s impossible without a product. Imagine if you tried to paint something without having color on your brush – I’m pretty sure you’d end up with an empty canvas. When the hair is washed, you want to build up the texture again, which is why a prepping product is important to have. For example, Oribe Creme for Style can be applied to damp hair to control cowlicks and give volume and movement to the hair. When hair starts to dry, add some paste, fiber paste or wax, depending on your hair type and the style you are trying to achieve. Your hairdresser will tell you the exact products you need to get salon results at home. At Fabio Scalia Salon, we offer multiple products with different purposes and we’d be happy to prescribe the right products for your specific hair type on your next appointment with us.